A poor selection of flowers at my local Trader Joes this week inspired me to whip up a sparkly centerpiece for our annual New Year’s Eve party. I hit the Christmas sale section at the craft store and gathered up some tinsel garland and metallic tissue papers. 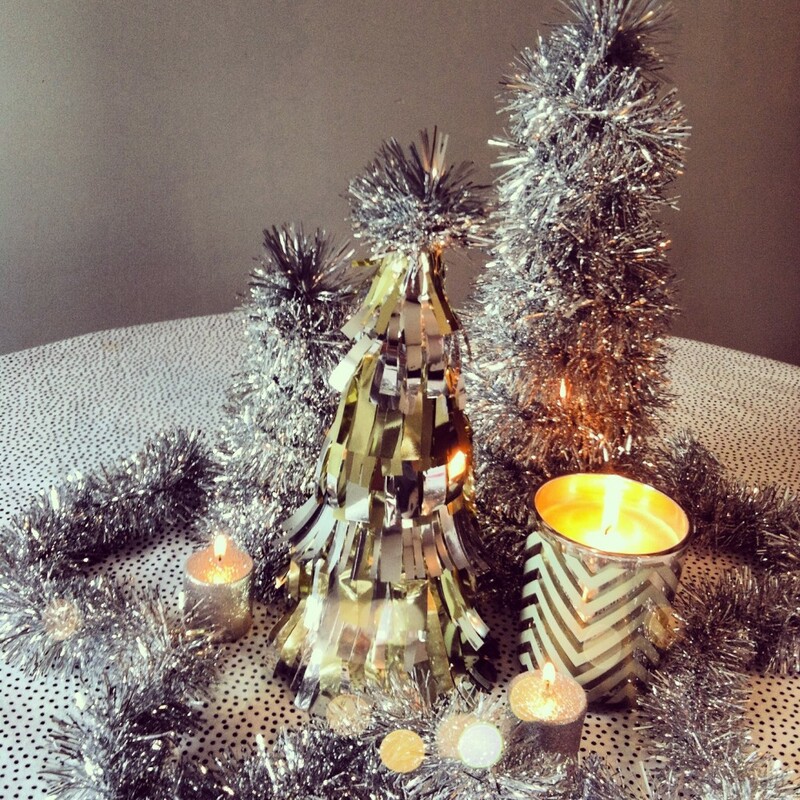 With a hot glue gun in hand I wrapped some tinsel garlands around foam cones to create two tree-like pieces. 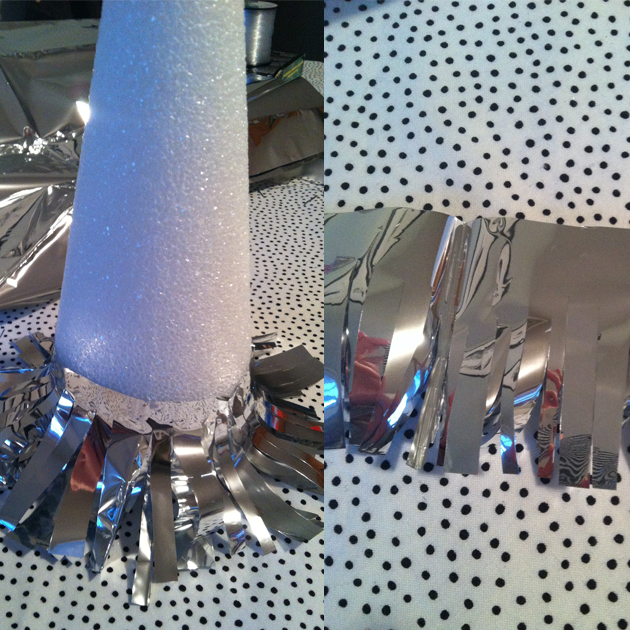 With the silver and gold mylar tissue paper I layered strips of hand-cut fringe around the third cone. I topped all three with sparkly drink stirrers that I also found in the Christmas clearance bin at Target to finish them off! 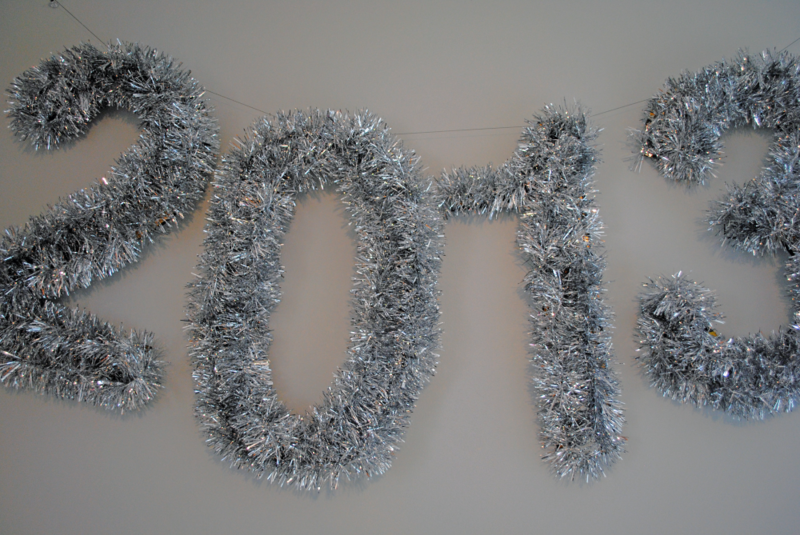 And of course I couldn’t pass up all of that discounted tinsel, so I used the extra pieces to outline some cardboard cut-outs of 2013 and strung them up on the wall — it’ll be a perfect backdrop for some festive photo-ops! A lovely little holiday. A New Year’s Eve Signature Cocktail. 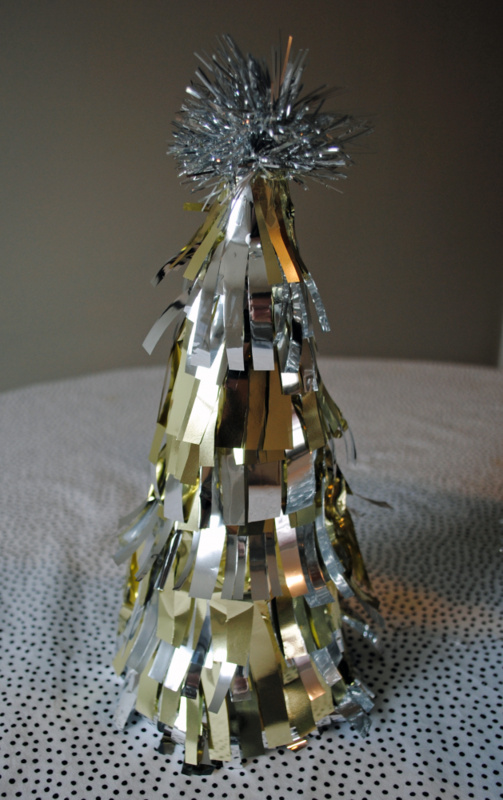 3 Responses to "New Year’s Eve Tinsel Trees." Look at that banner!!! Loving!